We wonder how many people who have asked themselves “should I go skydiving?”, answered with an enthusiastic “YES!”- and then never went. For us, that thought is a little sad. 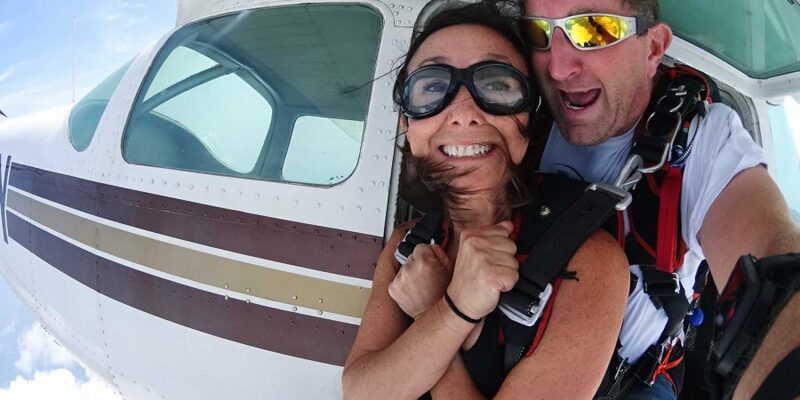 This author waited until the ripe old age of 28 before making the first jump – and now harbors a stinging regret that she didn’t start ten years earlier. It seemed like such a not-at-all-doable thing back then: getting the chutzpah to bail out of a “perfectly good airplane.” Friends promised to come along and never did. The money seemed too much. The drive was too long. The idea seemed…well…untenable. As it turns out, none of those things should have gotten in the way, and 5,256,000 of jumpable minutes were lost. Don’t make the same mistake. Time’s a-wastin’, and it’s only that silly thing called fear that’s standing in your way. 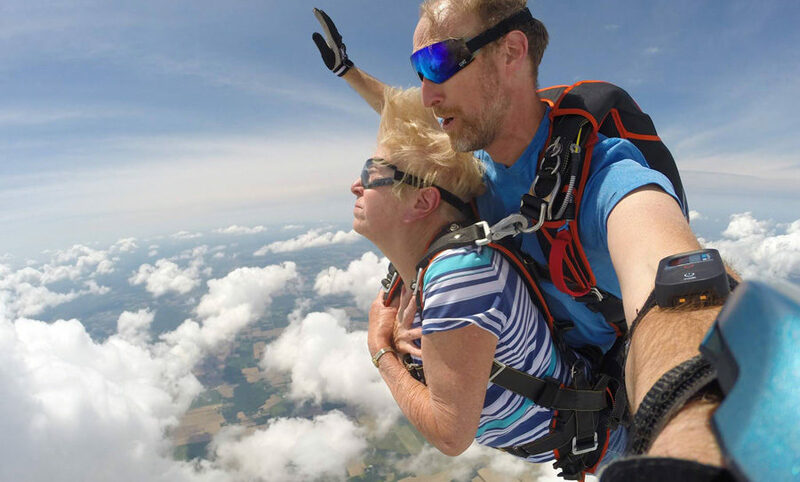 If you’re worried that you’ll never conquer your fear of skydiving, we have great news: If you make the commitment and you set the date, you will jump – and you’ll be far better off for it! Here are some tips to face your fear well-armed and with savvy. These are super eye-opening. As it turns out, skydiving is less risky than your morning commute. It’s safer than cows. (It’s safer than pretty much anything on a farm, actually.) And it’s certainly less dangerous than leaving your phone on the table at a party while still logged onto Facebook. 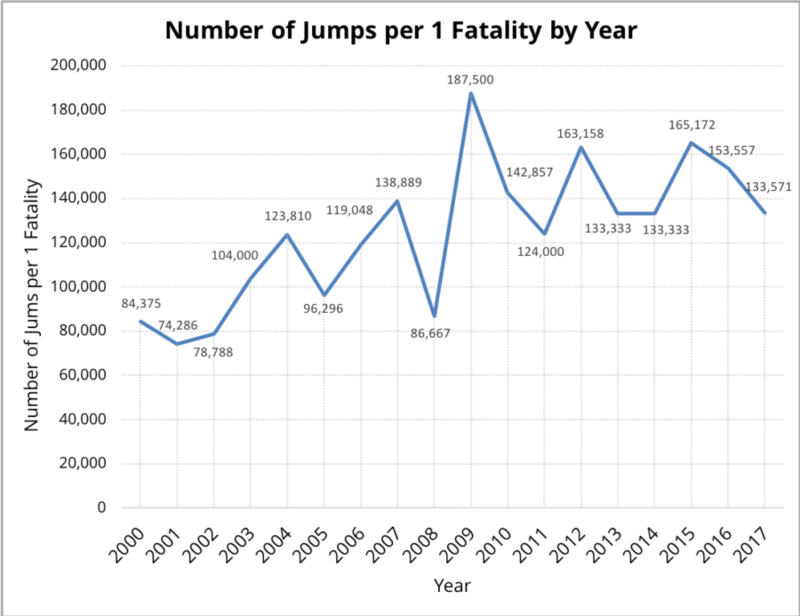 Read up on the statistics of skydiving safety if you need the encouragement of cold, hard facts. You’ll certainly be surprised, and probably inspired! Have you ever seen someone walk down the gangway onto a commercial flight who’s never flown before? They’re terrified. There will be a tiny kid, however, walking down that same gangway, expertly maneuvering her Dora the Explorer carry-on around tight corners as she rolls her eyes at the white-faced scaredy-cat. In the same way: Lots of people from the countryside can’t ride glass elevators without hugging the back wall, yet city kids press their faces to the farthest point and sigh. And someone going to their first job interview in ten years will be sweating bullets, next to a more practiced applicant who has taken the time to research the firm’s benefits and has his list of 10 questions ready to go. Skydiving is no different. When you’re on the plane for your very first jump, crazy butterflies in your stomach, you might see the pro skydiver next to you taking a power nap. What’s the monster that’s slowing down our exhibit-A’s? Novelty. How is it slain? Familiarity. Experience is a vaccination against your own closed mind – and it’s the fear-killer. Do it now, do it now, do it now! Set the date to make the call to book (or book online, to make it super-duper easy.) Trust the process. You’ll find your courage on the way. And after, you’ll look back on your journey – and you’ll realize that you should have answered that question of “should I go skydiving?” not with a mere “yes”, but with an “OF COURSE!”.